Yes...it's a tomato.... a tomoto...singular! It's not just any tomato, oh no...it's a red tomato. It's the end of August, summer is plummeting into autumn and now one tomato has decided to turn red. Just another 20 odd plants need to jump on board the 'reddening-wagon' before they're zapped by the first frost. A month ago I posted that I only had a few fruits, now I have a truckload of beautiful, green, uber-heavy trusses. What they need is sun, sun and a lot more sun. Today we've had terrific thunderstorms, stem-breaking gale force winds, hail and enough rain to sink a battleship. During the depths of our balmy summer our old dying Pyracantha finally bit the dust. Mother Nature, along with a gale force wind and a shed load of rain finally snapped one of the branches off our ladder-shaped shrub. It had originally been shaped into a series of lollipop branches but our aged cats used it's crafted stems as a ladder onto next doors shed roof. Anyway, after a summer lashing, this branch fell off and I was amazed how much more beautiful it looked than it ever had on it's original Pyracantha torso. Not sure what type this is, looks like suede. I guess not everything in the garden has been a disaster. Our crazy summer has bought some right crackers! It's a wonder no one was killed in the Tidy Garden during the stampede﻿ for the only raspberry that appeared this year. If they don't perform next year...they're out! Now I know some folk are a bit 'funny' about blog awards so if you're one of those viewers then you might like to look away...NOW! Me? Well if anything can put a smile on someone elses face then I say 'go for it'. 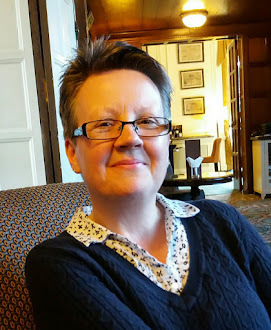 There are many people in Blogland who manage to raise a wry smile on my chops and lots of times a hysterical guffaw. 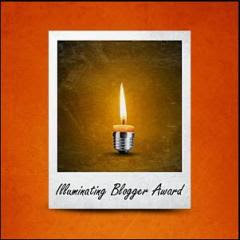 One of those is the hugely talented Kevin AKA Nitty Gritty Dirt Man who has kindly awarded me The Illuminating Blogger Award. Now for those of you not aware of the Dirt Man might one suggest you get your skates on and prepare to be educated, inspired and totally blown away by the great writing of a fellow gardener. As always with these awards comes a set of rules that simply must be adhered to or else! The rules here are a little different from other awards. * The nominee should thank the person who nominated them by posting and linking back to their site. 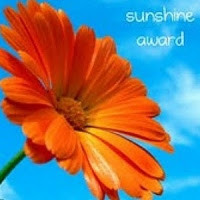 * The nominee should include a courtesy link back to the award site in their blog post. * Share one random thing about yourself. 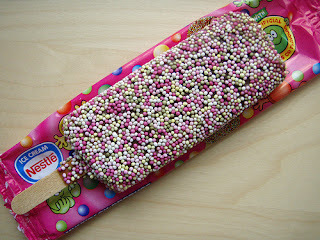 I'm a Nobbly-Bobbly-Aholic. There...said it! * Select at least five other bloggers who write illuminating, informative posts. 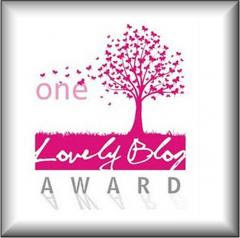 * Notify your nominees by leaving a comment on their blog and a link to the award site. 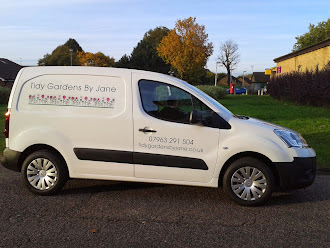 Can I point you to my Groovy Gardening Blogs list on the right-hand side of my blog. I'm really pushed for time at the mo' but each & everyone is worthy of this award too.